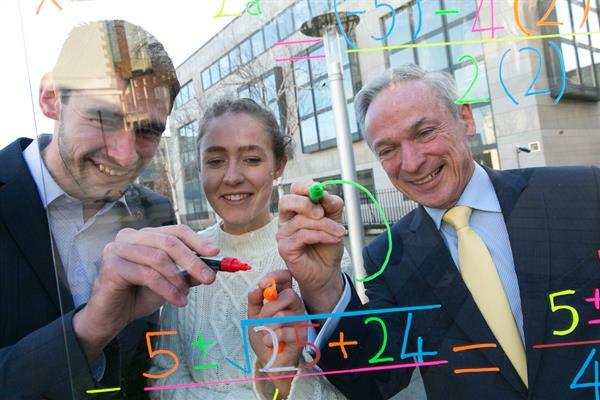 Minister for Education and Skills, Richard Bruton TD today called on second-level students across the island of Ireland to put their skills in science, technology, engineering, and maths (STEM) to the test as he launched SciFest 2018 in Dublin. SciFest is the largest and most inclusive science fair initiative on the island of Ireland. Since launching in 2008, over 50,000 students have participated in the competition, which represents an average year on year increase of 23% in participation. SciFest is funded primarily by Science Foundation Ireland, Boston Scientific and Intel Ireland. SciFest aims to give students of all abilities the opportunity to develop research, problem solving, critical thinking, and presentation skills. The closing date for SciFest@College 2018 is Friday 9th March 2018 or Friday 11th May 2018 in the case of St Mary's College, Derry. Congratulating SciFest on reaching its ten-year anniversary, Dr Ruth Freeman, Director of Strategy and Communications at Science Foundation Ireland said: “SciFest is an excellent initiative that really puts into practice Science Foundation Ireland's aim to grow awareness and knowledge o f STEM among young people in Ireland. We are delighted to support this nationwide education initiative though our SFI Discover Programme, which is working to make science accessible to all and highlights the importance of scientific enquiry. It is inspiring to see how SciFest has grown over the past ten years and I am sure that 2018 will be another hugely successful year." In SciFest, second-level students showcase STEM projects at a series of one-day science fairs held locally in schools and regionally in the 14 Institutes of Technology, DCU and St. Mary’s College, Derry. The winners from each regional science fair will go on to compete at a national final in November 2018. The winner(s) of the SciFest National Final 2018 will be presented with a trophy and will represent Ireland at the Intel International Science and Engineering Fair (ISEF) 2019 in Phoenix, Arizona. Last year’s overall national final winner was Aaron Hannon, from St Muredach’s College, Ballina, for his project on a shaving device for people with limited hand dexterity. Aaron will represent Ireland at the Intel International Science and Engineering Fair (ISEF) 2018 in Pittsburgh, Pennsylvania in May. Students wishing to follow in Aaron’s footsteps can log on to the SciFest website (www.scifest.ie) and enter online. Completed entries must be submitted by Friday 9th March 2018 or Friday 11th May 2018 in the case of St Mary's College, Derry. SciFest 2018 will also be the fourth year of the prestigious Boston Scientific Medical Devices Award, which is presented at each of the 16 regional science fairs; the overall winner of this award will receive the Boston Scientific Medical Devices Grand Award at the national final in November.